Windows 8 functioning is lots different than any previous version of windows. 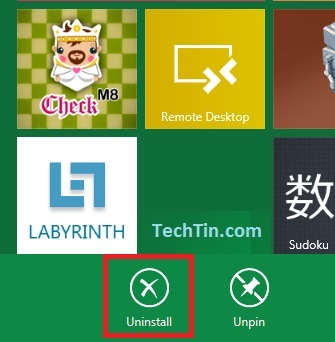 Uninstalling an app or program in windows 8 is now lots easier. Go to windows 8 start screen / Metro style desktop. Take your mouse to bottom left hand corner to pop out Start Panel. Now click Search. 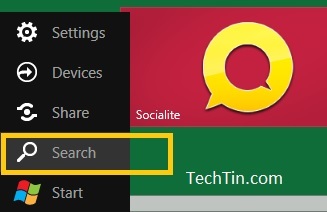 This will open Search Apps windows and will list most commonly used apps. You can search for app which you want to uninstall if its not listed there. 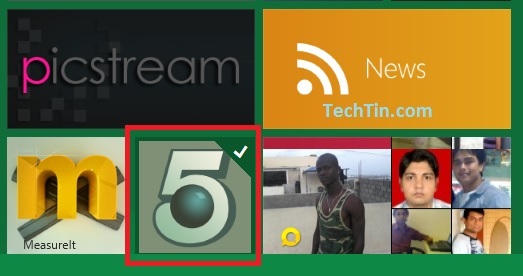 Right click the app icon which you want to uninstall. After right click, a check mark will appear on the icon. And at the bottom of the screen you will get option to Uninstall this app. Click on the Uninstall icon to uninstall this app. The core apps of windows 8 like Windows Explorer, Calculator, windows media player, Internet Explorer (IE 10) etc cannot be uninstalled.